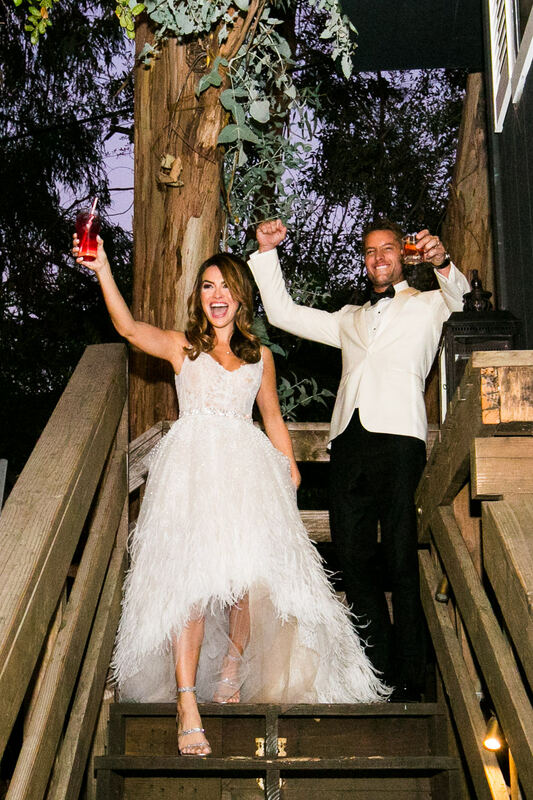 On newsstands now, the Chrishell Stause and Justin Hartley wedding as an exclusive Feature in the latest issue of People Magazine. Justin is one of the star’s of the hit NBC show This is Us. Chrishell appeared for many years on All My Children and Days of Our Lives. Together, they are Hollywood’s latest power couple, and two of the most fun and down to earth people we have met! Planned by our friend Nira Luna from Amber Events (see more of our weddings together here), the wedding was at Calamigos Ranch in Malibu. 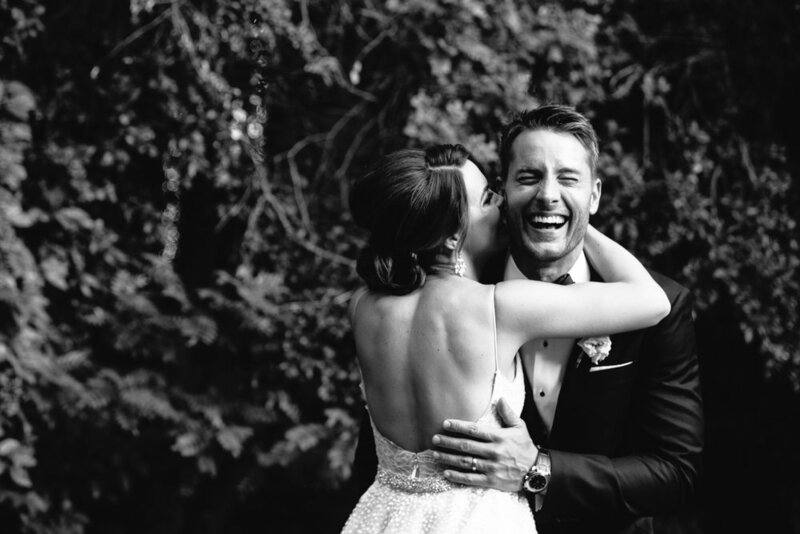 Specifically in and around the Birchwood Room, the most intimate location on the property. It is beautiful spot where the guests enjoy their dinner among the trees on the Birchwood Room deck.